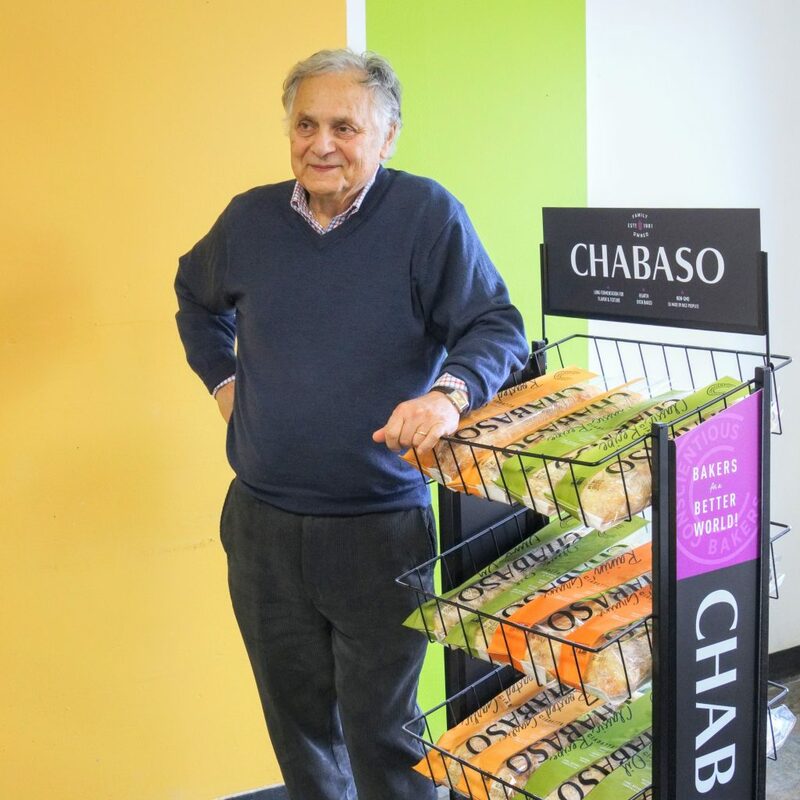 A chat with Chabaso founder Charles Negaro about his early political career, the roots of his love for retail, his social impact career and his favorite Chabaso bread! What’s your favorite bread from Chabaso? How do you prepare it? The Classic Recipe Ciabatta Roll is perfect for a sandwich with almost anything. I like to toast it and make sandwiches with the salad we have here for lunch for the team. What’s something important about Chabaso that some people might not already know? The name is from the from the first two letters of the names of my three children (Charlie, Abigail, and Sophia). That was done on whim when I was struggling for a name and resisting calling it Charlie’s Bread. Perhaps because I knew that that would sound too much like I created the breads. However, the name took on a significance as we grew. The bakery became a source of great pride to me, both for the recognition of the products and for the dedication of the workforce. It has been a wonderful feeling to be able to equate my pride in my children and my pride in the bakery. I hope it stands for a commitment to excellence, values, and concern for the greater environment. I hope that it inspires us to make things better – both in terms of products and our community. I worked for many years before college in my father’s grocery stores – first in a roadside stand that was named Handy Dandy (about which my father told a corny story that may have inspired me to go off the norm in naming this bakery). I worked there from the age of 10 until I left for college, though during holidays I would return home to make fruit baskets. I loved working in the store but did not realize it at the time. After practicing law for five painful years, I opened a bookstore and began to realize how much retail was ingrained in me. Long after I started Chabaso, I remembered that I had my first and only hands-on baking experience was in my father’s store. We made fresh doughnuts. Rumor has it that you ran for mayor in your past. What was that like? I returned to my hometown of Waterbury, Connecticut after a year on the campaign trail for the McCarthy for President organization. I joined a socially-conscious law firm and set to build a political base. I did not have enough patience for the necessary long haul of local politics, so when the mayor died in office I entered the Democratic primary without any real support or hope of winning. It was to be a building exercise but I ran out of patience after placing fourth in a four-way primary. 1938 votes! The winner had about 7,000. Waterbury and I were not ready for each other.